Eating healthy is such a priority for my family right now. We have been trying to make an effort to be healthy but at the same time promote the kids to try new things and not be stuck eating the same thing over and over. It’s important to have your kids try new things so that when they are older they won’t be scared to try something new and expand their palette. This meal looks so tasty. The kids can even help prepare it in the kitchen with mom and dad. 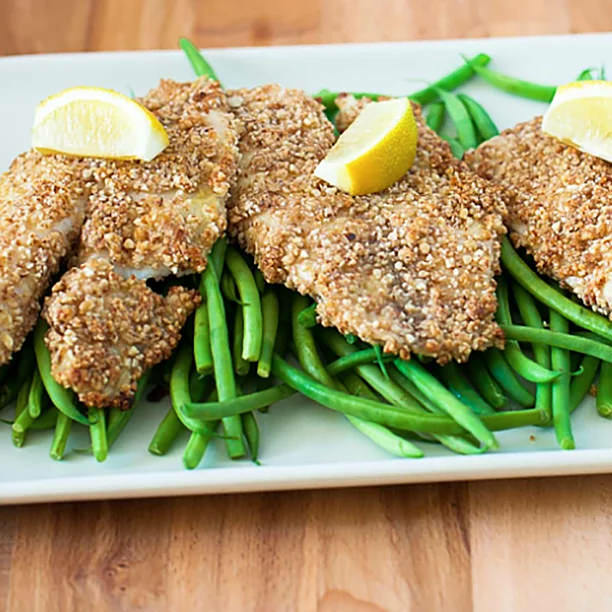 Tilapia is super healthy for everyone in the family. The seasoning is so different but still something kids will want to eat. Everyone will be excited to try this fish meal out. I have to admit one of my kids’ favorite things to eat are chips. We can spend a good amount of time huddled together next to the salsa and chips, all fighting each other for that one special chip. 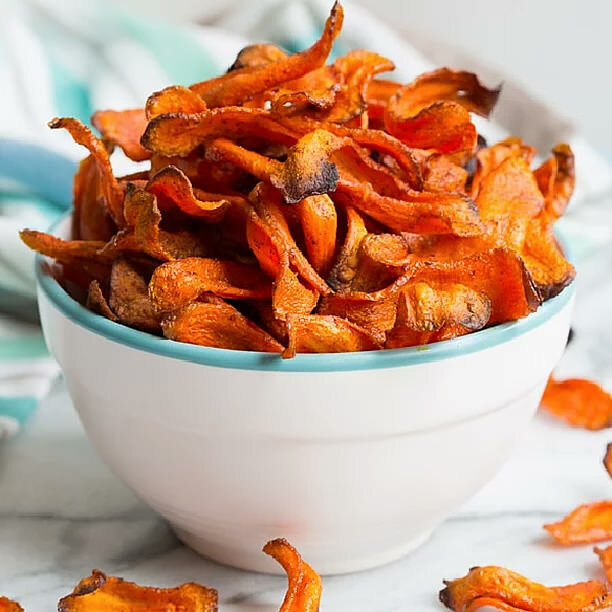 These baked carrot chips are super good for you and tasty. This way we can still enjoy our favorite chips but still keep being healthy and not worry about how many chips we are munching on. 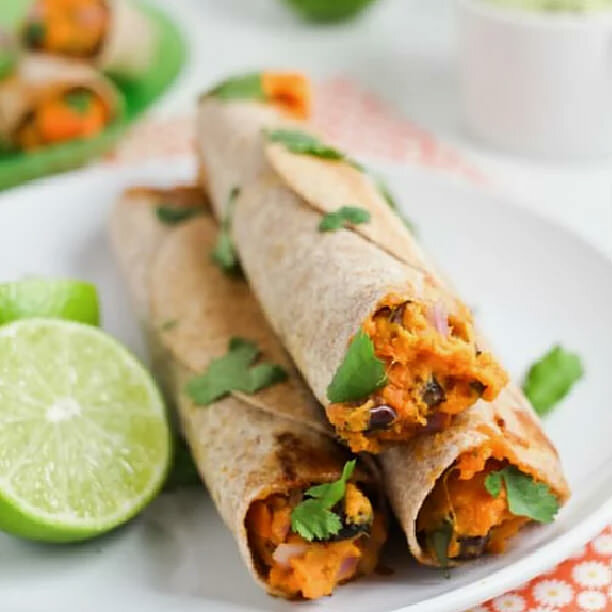 If you are looking for a good vegetarian meal option to introduce your family to for some healthy meatless options, this may be the recipe for you. 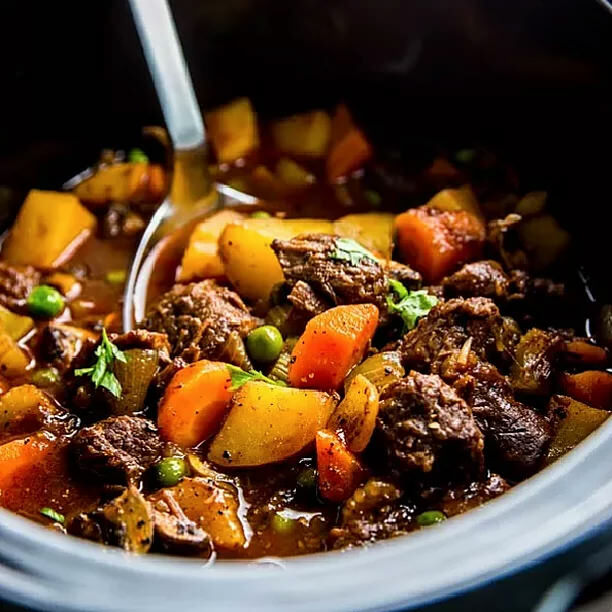 Sweet potatoes are relatively low in calories but packed in antioxidants and high levels of vitamins and minerals, so they make the perfect meal for kids. A bonus is that these are super yummy so the kids will love eating these for dinner or a bigger snack. 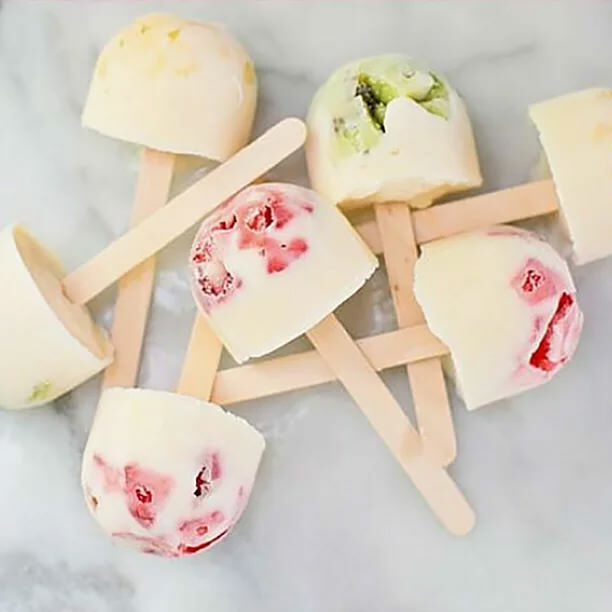 These easy to make frozen yogurt fruit pops are the perfect healthy treat to give your little ones. What’s better than a frozen pop that is actually healthy for you and the family? Your kids will love this colorful fruity frozen treat. This is one of my personal favorites and also a family specialty. My mom was always pretty busy with us kids growing up so this was a lifesaver for her. She would throw all the ingredients in a crock pot and let it slow cook all day. When we all came home from school dinner was ready and so yummy. The kids will love this and it will be a great time saver for Mom and Dad too!